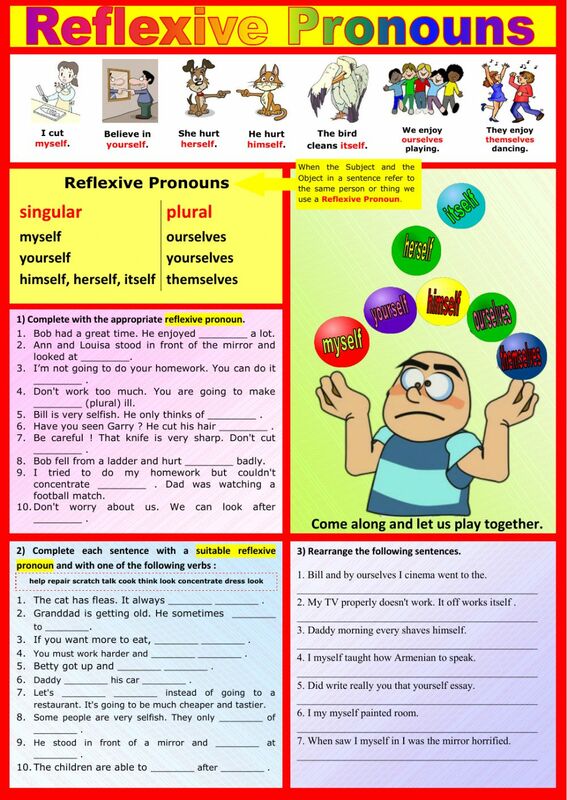 Students have to complete with the correct reflexive pronouns then be able to build appropriate sentences. Copyright 2/20/2017 Monique Karagozian. Publication or redistribution of any part of this document is forbidden without authorization of the copyright owner. I've just seen that the "+" sign in the tile was giving an error. I have to solve this problem, but meanwhile I've removed it so that the worksheet can be displayed properly. Thanks for another wonderful worksheet! Definitely have to add this to my faves!